DIY tiki torch – Summer time is now in full swing which means that it is time to take your dinners and parties outdoors to enjoy the sublime weather. The first and most notable problem with having outdoor parties in the evening is combating the darkness that is the result of the setting sun. Equipping your entire yard with a lighting system can be both expensive and time consuming, especially if you only have outdoor events a handful of times a year. 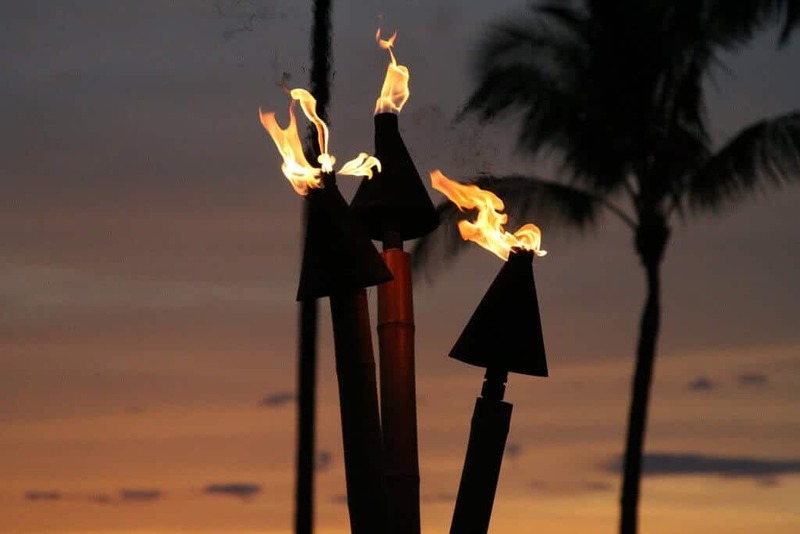 However, an easy and inexpensive way to quickly light up your yard are tiki torches. So check out this quick and fun way to make your very own glass or metal tiki torches. 4. Insert these new tiki torches in the ground in the desired area and light! To make a glass tiki torch, replace the soda can with a glass jar for a different and unique look.